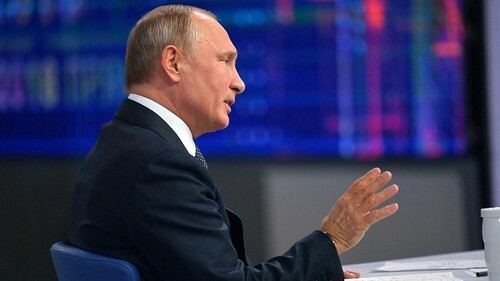 Speaking during an annual live television phone-in with the Russian people, Putin likened the tariffs that Washington imposed last week on steel and aluminum imports from Canada, Mexico and the European Union to economic sanctions. The president said he had warned in a speech in Munich in 2007 about a growing U.S. sense of exceptionalism and the risk of it imposing its own rules on other countries. 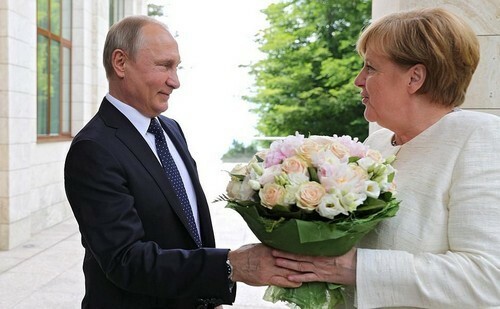 “I hope that there won’t be any provocations, but if it happens I think it would have very serious consequences for Ukrainian statehood in general,” he said. Putin, who easily won re-election in March, has since 2001 used the annual phone-in to cast himself as a decisive troubleshooter on the home front and a staunch defender of Russia’s interests on the world stage. Critics say the event, being held a week before the World Cup starts, is a stage-managed piece of theater designed to let Russians let off steam and fleetingly feel as if they can influence a bureaucratic, top-down system. Putin, 65, and his aides say it is an indispensable tool to gauge public sentiment and learn about people’s real problems. 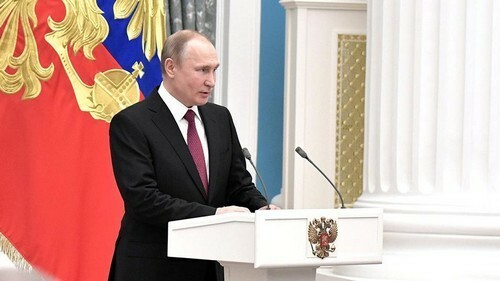 Kremlin-watchers often liken his performance to that of a tsar listening to his petitioners as he often promises to fix individuals’ household problems. 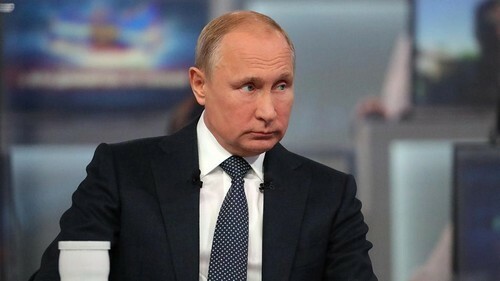 Putin had another “I told you so” message for Russian businessmen, saying he had previously warned them about the risks of keeping their assets abroad, and that they were now being persecuted by countries such as Britain. “I warned them that this situation, which we see today, could develop. I … recommended at the time that our business keep its capital in Russia, in the motherland,” said Putin. At the start of a new presidential term and on a drive to improve living standards, Putin also used the event to try to reassure Russians about the economy. The Russian central bank forecasts economic growth at between 1.5 and 2 percent this year. This year, Putin dispensed with his usual studio audience, fielding questions asked by text and video. He referred some questions to regional governors, government ministers and state company heads who were shown on giant TV monitors sitting at their desks across Russia, waiting to be quizzed. Members of the public submitted around 2 million questions, state TV reported, some of them flashed up on a giant screen close to Putin. Some of those questions, which Putin did not attempt to answer, were politically awkward. One asked why opposition leader Alexei Navalny had not been allowed to register as a candidate in the presidential election, another why there was money for the military but not ordinary people, and another asked whether Russia was a banana republic.